We all want a city that not only is safer but feels safer for all who work, study, visit and shop there. In December 2016, Gloucester BID task group cooperated with Gloucester City Safe in a pilot scheme to introduce City Wardens. The pilot met with universal approbation. 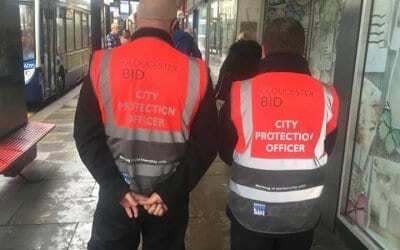 It is proposed that Gloucester BID will provide funding to support highly visible City Protection officers. Subject to match funding up to four City Protection Officers will operate in two teams of two, seven days a week and will patrol the whole BId area. They will be linked through radio and cell phones. BID members and BID voluntary members will be able to call for their assistance to incidents. Work with City Safe, Gloucester City Council, the Police and the Police and Crime Commissioner to fund and deliver City Protection Officers. Support efforts to implement legislation to improve safety and security in the BID area. Look to extend the impact and support of City Safe. Support enforcement of the collective exclusion scheme. Gloucester City Safe is a not for profit Business Crime Reduction Partnership and was set up with initial funding from the Police and Crime Commissioner. The idea of the scheme is for local businesses involved in the day and night time economies in Gloucester to work together to reduce crime, disorder and anti-social behaviour which affects those businesses, their staff and customers. The scheme started on 1st May 2014 and the membership has grown significantly as word has spread about the benefits of being part of City Safe. 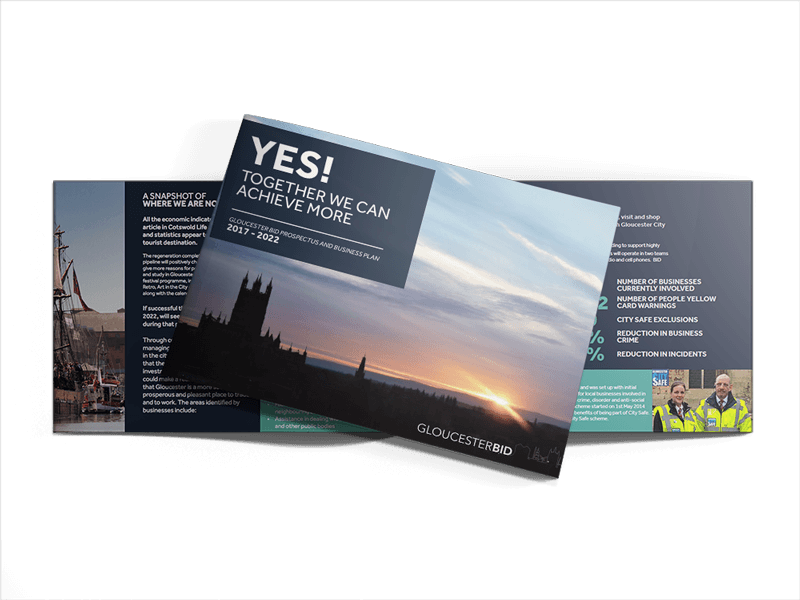 Gloucester BID will be looking to support and extend the benefits of the City Safe scheme.